Founded in 1974, the IEA was initially designed to help countries co ordinate a collective response to major disruptions in the supply of oil, such as the crisis of 1973/4. While this remains a key aspect of its work, the IEA has evolved and expanded significantly. The IEA examines the full spectrum of energy issues including oil, gas and coal supply and demand, renewable energy technologies, electricity markets, energy efficiency, access to energy, demand side management and much more. Through its work, the IEA advocates policies that will enhance the reliability, affordability and sustainability of energy in its 30 member countries and beyond. Today, the IEA is at the heart of global dialogue on energy, providing authoritative analysis through a wide range of publications, including the flagship World Energy Outlook and the IEA Market Reports; data and statistics, such as Key World Energy Statistics and the Monthly Oil Data Service; and a series of training and capacity building workshops, presentations, and resources. The International Chamber of Commerce (ICC) is the world’s largest business organization, representing more than 45 million companies in over 100 countries. Its core mission is to make business work for everyone, every day, everywhere. As the principal international forum for restructuring official bilateral debt, the Paris Club is committed to fostering orderly and timely solutions to payment difficulties encountered by borrowing countries. As the debt landscape is becoming more complex, the Paris Club is convinced that sustainable solutions can only reached through a coordinated framework and an active dialogue with all stakeholders. In the Paris Peace Forum, a platform for solutions to international challenges, the Paris Club founds itself naturally as an institutional partner, highlighting the need for long-term engagement to ensure sustainable financing practices. In a context of changing geopolitical, rising international tensions, resurgent unilateralism and isolation, the European Commission is, more than ever, committed to cooperation between States, better global governance and multilateralism, which are the guarantee of sustainable peace and growth. The President of the European Commission, Jean-Claude Juncker, reaffirmed – in his state of the union addressed on September 2018 – his willingness of a Europe which works for peace and entirely fulfills its role as a global player. The initiative of Paris Peace Forum is a unique opportunity to revive concrete action to global challenges. For the International Committee of the Red Cross (ICRC), the Paris Peace Forum provides a unique opportunity to promote humanitarian action and international law. The diversity and type of high- level participants that will be present at this unprecedented event (i.e. leading state leaders, international organizations and international civil society actors) make this forum an ideal place for humanitarian issues to be addressed. In a world plagued with instability, violence and various types of armed conflicts (that still occur 100 years after the First World War), the ICRC seeks to actively participate in this forum in order to emphasize the imperative need to set limits to wars. Within the context of the first edition, the IRCC presented a project on missing persons. For more than 150 years, the ICRC – a neutral intermediary in armed conflict and the guardian of international humanitarian law – has been working with victims of violence. The organization currently has 16,000 employees in the field in countries such as Syria, Yemen, the DRC, Nigeria, Iraq and Afghanistan; these employees assist civilian populations and all those who are wounded or sick (or who need it) as well as those who have been detained because of a conflict and need protection. In 2017, the institution’s delegates in areas of armed conflict and violence visited nearly one million people. Playing an active role in restoring families and searching for missing persons in times of war, the ICRC has used its expertise to extend its protection activities to migration within the context of America, Asia and more recently, Europe; in doing so, they have relied on the formidable network of the National Red Cross and Red Crescent Societies. Finally, the ICRC ensures that the 196 States parties to the 1949 Geneva Conventions, in accordance with their obligations, respect and ensure respect for international humanitarian law (which remains one of the surest means of achieving peace and upholding the idea of humanity in wars). For all the mentioned reasons, the Paris Peace Forum promises to be an important event in 2018 and in the years that follow. The Paris Peace Forum perfectly reflects the spirit in which the Council of Europe and its 47 Member States including France, founding and host State, has worked relentlessly since 1949. Cooperation and the development of a common legal space based on Human Rights, Democracy and the Rule of Law comprise our essential contribution to peace and democratic security. However, the Council of Europe live at a time where many politicians and individuals are tempted by isolationism and are calling into question not only these fundamental principles but also the institutions that underpin them. The Paris Peace Forum is set to make an important contribution to the fights against this trend. 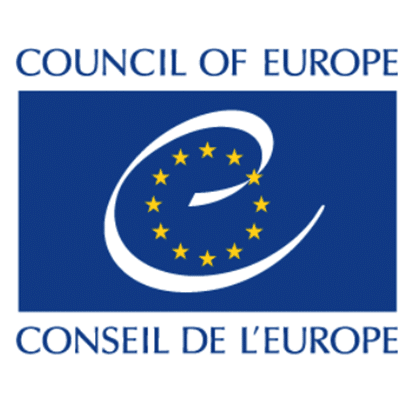 The Council of Europe is proud to support it. 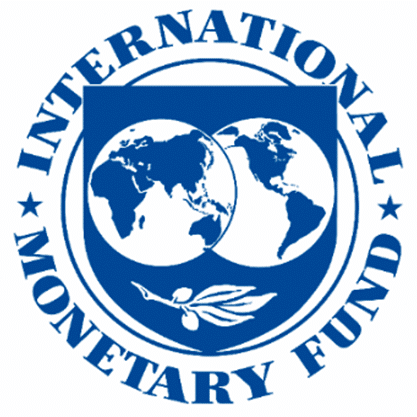 The International Monetary Fund (IMF) has been at the center of international cooperation since its founding nearly 75 years ago, working with its 189-member countries to promote global economic and financial stability. In recent decades, rapid technological change and deeper financial and trade integration have further boosted productivity and economic growth. At the same time, inequality has grown within nations. The IMF promotes policies that will lead to positive outcomes for all citizens so that the benefits of globalization can be shared more widely. The Fund will continue to work with its member countries and other international organizations to foster economic and financial stability, strengthen the trading system, and leverage technology for financial inclusion. The IMF will also seek to help countries identify financing for the sustainable development goals, tackle corruption, and deliver growth that is more inclusive. Progress in these areas will ultimately help rebuild public trust in the multilateral system and foster peace and prosperity for all. Global governance and peace issues are at the heart of the French Institute for International and Strategic Affairs’ work (IRIS). To reduce rivalries and improve international cooperation in an unstable and constantly changing world, we must think together for a better collective action. More than ever, the principles of multilateralism must organize the international society in order to counter any hegemonic inclination and escalating tension. This is the reason why IRIS supports the initiative of the Paris Peace Forum and intends, through this partnership, to play an active role in tackling the issues and be a part of the proposals. The mairie de Paris is the administration headquarters governed by the elected officials of the city of Paris. The rise of misinformation, illicit money in politics, and attacks on civil society and the free press have led to a decline of political rights and civil liberties around the world. In line with the values the Paris Peace Forum represents and recognizing that stronger coalitions are needed to counter these threats, Open Government Partnership brings together government reformers and civil society leaders to create action plans that make governments more inclusive, responsive and accountable. making on key economic, societal and environmental questions. Importantly, the OECD also helWp governments develop global solutions to challenges no one can address alone, such as inequalities, migration, digital transformation, climate change or the realization of the Sustainable Development Goals (SDGs), to name just a few. All of UNESCO's work, as "the conscience of the United Nations", is based on the conviction that peace, in order to be sustainable, must be based on international intellectual cooperation through the promotion of education, culture, science and freedom of expression. It is only through this moral solidarity of humanity (based on mutual understanding of people, respect for human dignity, sharing of cultures and knowledge, and collective intelligence) that we will develop a culture of peace. UNESCO's mission is incredibly relevant in providing sustainable responses to today's challenges. Its collaborative method (i.e. its openness to civil society) makes it a unique global incubator for peace initiatives. That is why associating ourselves with the Paris Peace Forum with the mission of working towards achieving lasting peace was a natural choice. The mission of the International Organization of La Francophonie (IOF) is to embody the active solidarity between its 88 Member States and Governments. This community aims at sharing the French language and universal values. The IOF objective is also the improvement of the population quality of life in helping them to become actors of their own development. The Organization offers support to its members in their policies making and implementation processes. Moreover, IOF undertakes activities and actions of multilateral cooperation that benefit to the French-speaking populations regarding its four mains missions: promoting French language as well as cultural and linguistic diversity; promoting peace, democracy and human rights; strengthening education, training, higher education and research; and developing cooperation for sustainable development. The history of the International Labor Organization (ILO) is founded in multilateralism and values of peace. The ILO’s creation by the Treaty of Versailles in 1919 was an essential part of the edifice of the first instance of multilateralism; its founders sought to pursue a vision based on the principle that there can be no lasting, universal peace without social justice. With this in mind, the commemoration of the centenary of the end of the First World War has special significance for the ILO. The ILO's (nearly a 100 year old) mission for social justice and peace in and through the world of labor continues to guide its work and that of its tripartite constituents (governments, employers and workers). In a world where the nature of labor continues to change, this mission is embodied in the Decent Work Agenda, whose inter-related objectives include setting standards, fundamental principles and rights related to labor as well as promoting employment, Social Protection, tripartism and social dialogue. The Paris Peace Forum is a unique opportunity to highlight the relevance and permanence of the ILO's mandate for social justice as a means of achieving peace. As such, the ILO, (with its primary purpose and its activities in this area), is pleased with this collective effort and is pleased to be associated with the Forum. The Paris Peace Forum represents an important opportunity in challenging times to advance the cause of cooperation between nations. This is the ultimate aim of the World Trade Organization which is pleased to give its wholehearted support to this initiative. By joining the Paris Peace Forum as an institutional partner, the WTO is paying tribute to its own origins in the post-war effort to rebuild the world economy and promote good international relations under a system of shared rules. The framework of global governance we have today may not be perfect, but it represents the best efforts of governments around the world, working together for over 70 years, to preserve peace and stability and thereby to provide the essential conditions for growth and development. Our challenge now is to maintain and strengthen this framework to ensure that it is more responsive to evolving economic needs. The Paris Peace Forum reminds us of this history. It encourages us to come together and commit once again to pursuing collective action towards building a better world. The OECD looks forward to playing its role in this effort. The European Parliament is an important forum for political debate and decision-making at the EU level. The Members of the European Parliament are directly elected by voters in all Member States to represent people’s interests with regard to EU law-making and to make sure other EU institutions are working democratically. The Parliament acts as a co-legislator, sharing with the Council the power to adopt and amend legislative proposals and to decide on the EU budget. It also supervises the work of the Commission and other EU bodies and cooperates with national parliaments of EU countries to get their input. The Parliament sees its role not only in promoting democratic decision-making in Europe but also in supporting the fight for democracy, freedom of speech and fair elections across the globe. The United Nations Development Programme (UNDP) has a unique mandate within the UN system to work on democratic governance. With operational presence in 170 countries and territories, UNDP supports, on a daily basis, countries to strengthen their institutions, improve their regulatory capacities and enhance their legal frameworks to make progress on the Sustainable Development Goals. The Paris Peace Forum, with its emphasis on developing innovative multi-stakeholder governance solutions, for peace, climate and inequality challenges presents a key opportunity to co-construct the next generation of development solutions with governments and civil society. As recognized in the 2030 Agenda, inclusive and accountable governance systems and processes are crucial enablers of sustainable development and human security. Preventing conflict and sustaining peace, notably through stronger youth engagement, also at the core of UN efforts. UNDP therefore looks forward to sharing its expertise on the restoration of core government functions in fragile settings and to contribute to a wide-range of Forum’s debates on how to reinforce joint efforts to eradicate poverty, protect the planet, and build resilience to crises and shocks. The United Nations Global Compact aims to mobilize a global movement of sustainable companies and stakeholders to create the world we want. To make this happen, the Global Compact supports companies to do business responsibly by aligning their strategies and operations with ten Principles on human rights, labour, environment and anti-corruption; and take strategic actions to advance broader societal goals, such as the Sustainable Development Goals. At the Paris Peace Forum, the Global Compact brings the voice of business as a force for good in global governance.